All visits must be pre-arranged and they would prefer you to attend a course or workshop (see listings on the website) rather than just do a tour. However, email them and let them know your interests. El Valle de Sensaciones is just south east of Yátor in the Alpujarras in Andalucia, Spain. If you are coming from England then it is possible and pleasant to catch the train as far as Granada and then take a bus, and a taxi for the final stage. You take the Eurostar to Paris, then the TrenHotel to Madrid. You probably have to stay overnight in Madrid, or else Granada as there are only two trains a day – one at 9 am and another at 6 pm. 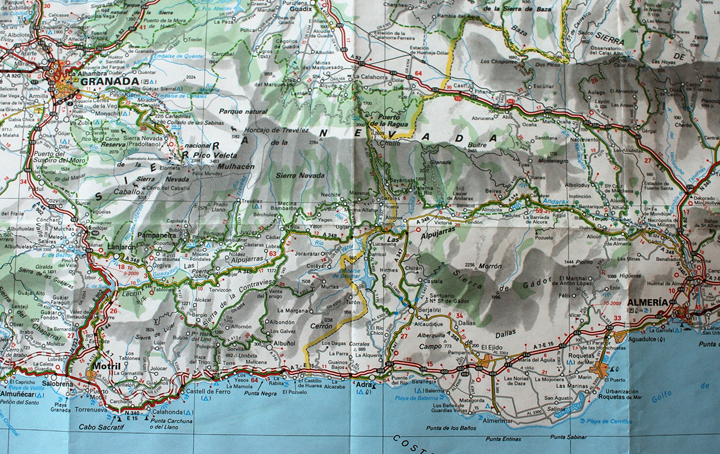 It takes about 4 hours to get from Madrid to Granada. The best travel website for working all of this out is The man in seat 61. A good website about Spanish buses is Movelia, where you can find out exact bus times, book a bus (and even select which seat you want to sit in) and then print off the recipt which counts as your ticket. You can catch a bus from Granada to Ugijar, which is the most local big town (costs 10 euros and takes about 4 hours). 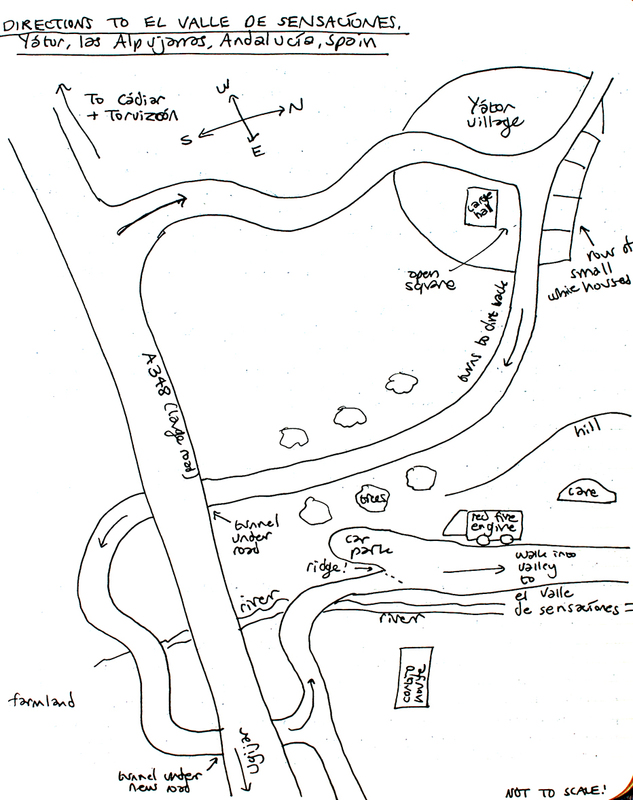 You then need to travel west for about 5 kms either by walking, getting a lift or by taxi. 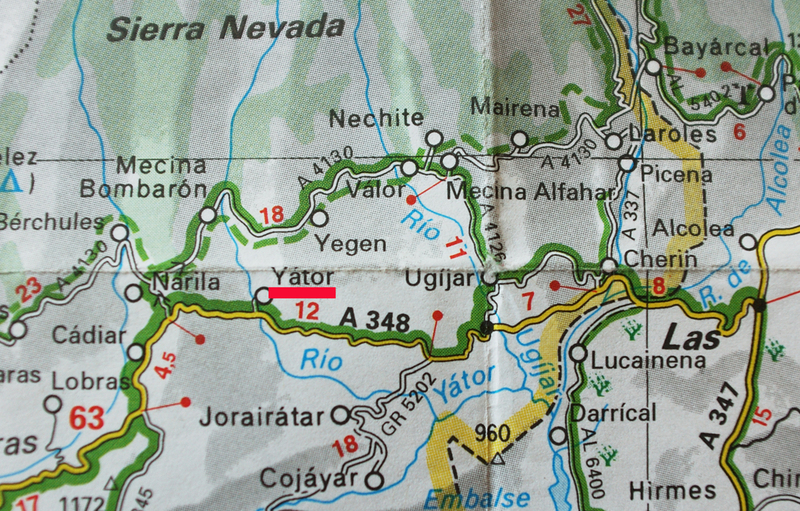 Once in Yátor you need to go south out of the village and under the new road, see sketch below for route.